HP Premium Choice LaserJet Paper was the heaviest and brightest general purpose laser paper offered by Hewlett Packard. It was designed to produce optimum results with high-impact color graphics on HP LaserJet printers. Manufactured by HP in letter size and tabloid size (11 x17). 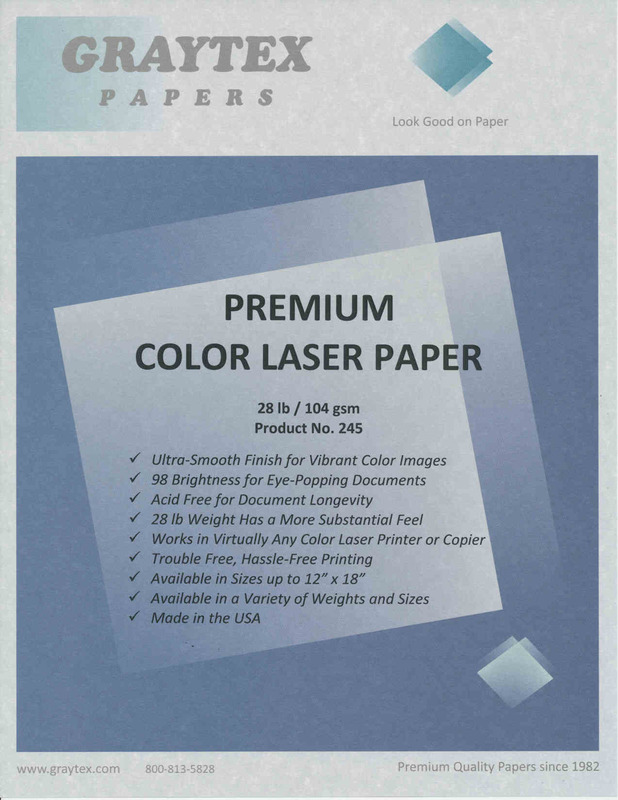 This was an excellent alternative choice of laser paper for professional and business communications forbrighter, smoother, professional-quality printing in a genuine HP laser paper. Our replacement product is guaranteed to give the same results, and is available in more sizes than HP Premium Choice. If you are looking for more sizes, additional sheet sizes and heavier weights are made available from our expanded line of compatible LaserJet papers.